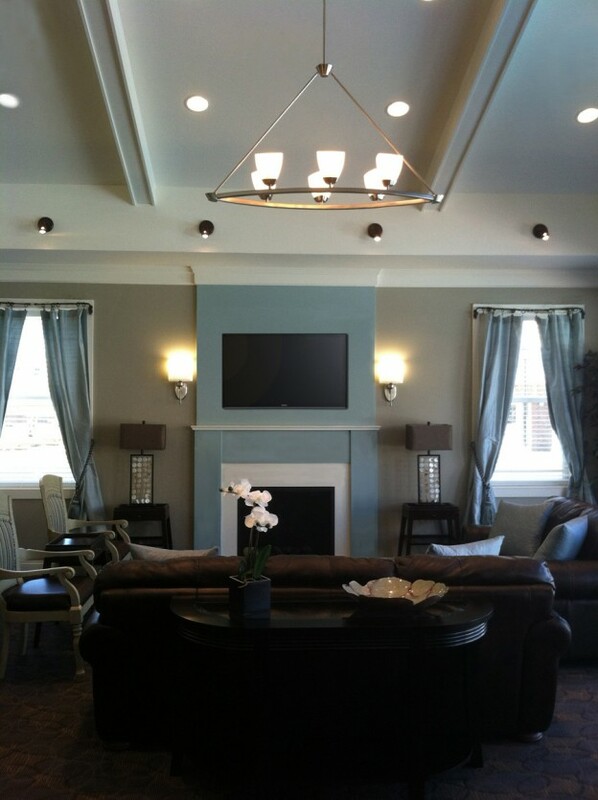 Interior design, finish and lighting specifications for the 3,500 square foot Clubhouse that acts as a central gathering space for the residents of the Station at Bucks County rental community. The Clubhouse includes the leasing office, fitness center, and club room. The finish and lighting specifications include a contemporary mix of classic styles. Sophisticated neutrals are highlighted with wallcovering accents showcasing pattern and texture. Cool color accents additionally add designer elegance. The fitness center and clubroom feature vaulted ceilings.